Thought you could escape Star Wars merchandise in this quiet period post-Force Awakens, pre-Rogue One, era? Well then THINK AGAIN. Anything that can be BB-8-erized will be, as is the case with this delightful teapot. 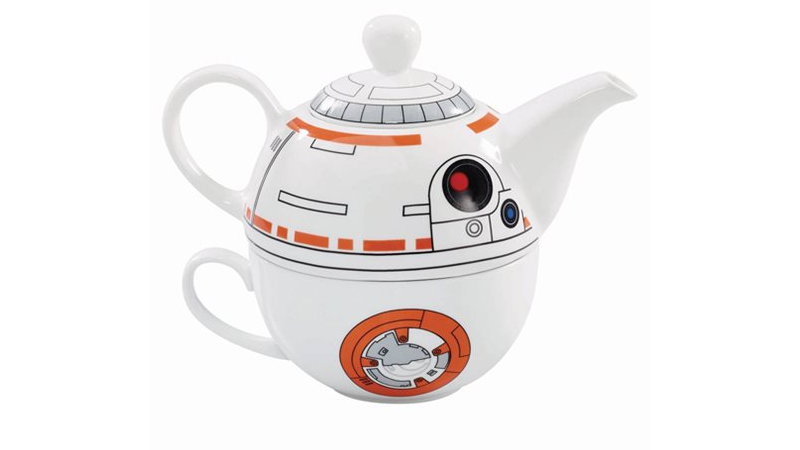 The 32-ounce pot, designed to look like everyone’s favorite spherical droid, is actually both teapot and teacup, BB-8's shape being made by the pot’s ability to nest in the cup when not in use. Which should be rare, as this is adorable enough that you’d probably want Star Wars-themed afternoon tea to become a regular occurrence. It’s very silly, but as both a Star Wars fan and a walking British stereotype, I can’t help but love this. The teapot is out in October, and it’ll set you back $40 if you want one.